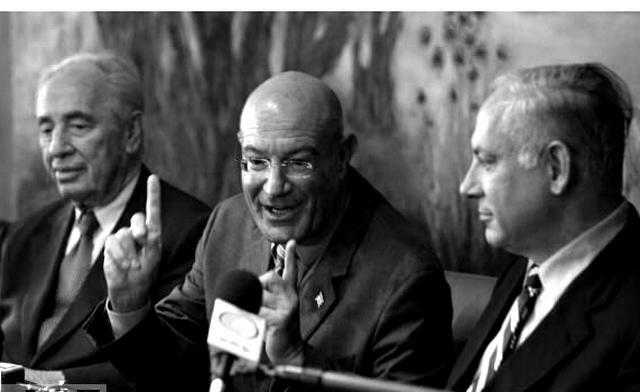 Arnon Milchan and former Israeli Foreign Minister, Avigdor Leiberman, swooped in to the Israeli desert city of Arad in Milchan's private helicopter to inspect the location for the proposed new studio, promoted as Israel's future 'Hollywood'. Milchan said that his new film Noah, a biblical blockbuster, would have been filmed in Israel and not Iceland had the Jewish state had a studio of the kind that he is proposing (Russell Crowe is to star in the movie, due next March.). Milchan also stated that Israel should have been the site of a forthcoming production by British director Ridley Scott based on the biblical Book of Exodus. “There are zero worries about Israel,” he said. “Hollywood considers it the safest place in the world. And it’s no secret that Hollywood has many proud Jews and non-Jewish Zionists who make key decisions.” Milchan is clearly one of them. An expert on how much movies cost to make and how much money they can earn, Milchan believes entering the movie-making industry could bring Israel a windfall of $5-10 billion if the state can offer tax breaks that can compete with what producers receive from other countries. Given that his good friend and protégé, Yair Lapid, is now Israeli Finance Minister, he will certainly find an open mind on that front.